By Janet Fagan, Recruitment & Alumni Relations Assistant…and long-time From the Top fan. I owe my love of From the Top to one woman – Barbara Nakazawa, my daughter’s flute teacher. “You must listen to this show called From the Top with Host Christopher O’Riley,” she told us years ago. “It’s terrific!” We took her advice and became regular listeners. Not long after, she shared the great news that her 17-year-old son Joshua Nakazawa – a wonderful high school cellist – would soon be featured on Show 092 in Troy, New York. When the time came to listen, it felt great to know someone on the show, and we were thrilled for Josh and his family. He played beautifully and he was hilarious in his interview with Christopher O’Riley. Christopher pointed out that Josh said he was into music for the long haul and that he already knew that he wanted a musician’s life. That is, indeed, what came to be. For Josh, it often felt like a long journey from being a cello student to landing a job he would love. Josh studied cello at the Manhattan School of Music and then went on to earn an Artist’s Diploma at Southern Methodist University in Dallas. Then, he traveled to Toronto where he met one of his greatest mentors, Joseph Johnson, the principal cellist of the Toronto Symphony Orchestra. While living in Toronto, he began the process of auditioning for orchestras. It wasn’t always an easy process, and Josh often met with frustration. When his Canadian visa was about to expire, and he had difficulty finding enough work to remain in Toronto, he realized he would need to move back home to the Boston area. While Josh lived at home, he devoted himself to perfecting his cello skills. “At that time I was living like a hermit,” Josh recalled. “The majority of my free time was about practicing.” Josh rented out a practice space and worked there constantly. He was teaching young students and freelancing with the small area orchestras, and things were moving along, but still no permanent job. Josh had always been intrigued by the idea of living in Hawaii. One day he actually saw an opening for the Honolulu Symphony Orchestra and thought, “Wow! Wouldn’t that be a dream to go out there and play!” He was disappointed when later he read that the Honolulu Symphony Orchestra folded. Hope was renewed a few years later when he learned that the orchestra had reformed as the Hawaii Symphony Orchestra. Hawaii sometimes hires professional musicians from the mainland when they need substitute players. Finding subs can be a delicate process, and they often consult a list developed from musician recommendations. 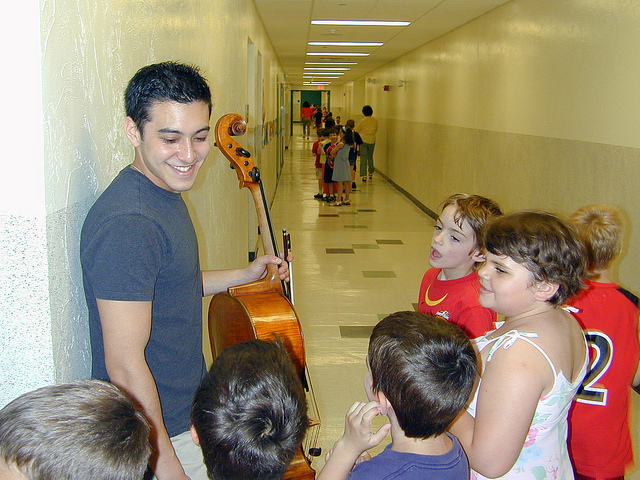 As it turned out, Josh’s mentor Joseph had been a guest principal cellist in Honolulu. When Josh came across this important fact in Joseph’s bio, he promptly asked him for a letter of recommendation. It worked! “I was just able to sub for a short period, but for me it was also an experiment,” Josh explained. “Is Hawaii a place where I could survive and even thrive?” Josh loved every minute of it. The orchestra was playing Beethoven’s 9th Symphony, which has a key cello recitative. “I had just performed it, so I felt on my game about it – really prepared – and I hoped they would also sense how prepared I was.” Could this lead to the connection he’d been waiting for? Since September 2015, Josh has been loving his life in Hawaii; he simply can’t believe he lives in a place that is so beautiful. Most mornings he wakes up early to swim with wild dolphins before heading to rehearsal. He not only plays with the orchestra, he also has 11 young cello students, and his schedule has allowed him to take on other cello assignments with the National Arts Centre in Ottawa and with the Charleston Symphony in South Carolina. He is pursuing a musician’s life, just as he once told From the Top’s Christopher O’Riley he would. Not many cellists can say they do that. 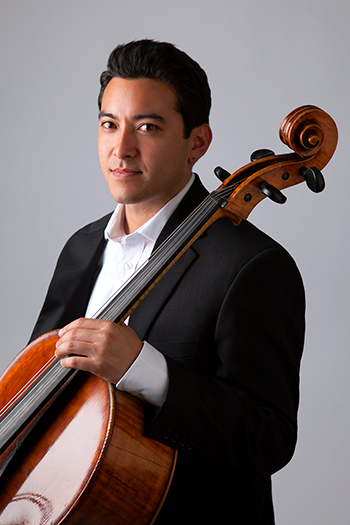 For me, personally, it’s exciting to watch someone who is both a friend and one of our wonderful From the Top alums work so hard to go from being an outstanding student cellist to a professional musician loving his life in Hawaii. The hear Josh’s segment on From the Top go to Show 92, Troy, NY.